As our Maclay Fine Arts Department starts to grow, I find that our Maclay Visual Arts are connecting vertically and horizontally in the curriculums across campus! We are excited to show you all our new logo and share our Professional Development. We plan to use these key words in our units: connect, reflect, express, appreciate, transform and empathize. Explain how this professional development offering will benefit you as an educator and your professional development goals. (Please be as specific as possible). When you hear the word “creativity,” what do you think of next? If you are like many people, your mind immediately leaps to artistic endeavors like sculpture, drawing, music, or dance. You ma equate “creative” with “artistic.” You may believe that architects and designers are paid to be creative thinkers, but CEOs, lawyers, and doctors are not. Or you may feel that being creative is a fixed trait, like having brown eyes – either you’re born with creative genes, or you’re not. What we as the Fine Art Department want to encourage our kids is to have “creative confidence” and at its foundation is the belief that we are all creative which simply stems from one core element – empathy. Innovation and creativity are now widely accepted as the driving forces behind business success, and are among the most highly prized qualities in today’s leaders. We forget that as kids, we were all creative, making things out of clay and using crayons with abandon. Over time, so many of us were discouraged in our creative endeavors and eventually focused our energies on more traditional pursuits. We all have ideas and insights to offer. Creativity is a mindset, a way of thinking, and a proactive approach to finding new solutions. We may not all be artists, but we can be more creative lawyers, doctors, managers, or salespeople. Being human centered is at the core of our innovation process. Deep empathy for people makes our observations powerful sources of inspiration. An empathic approach fuels our process by ensuring we never forget we’re designing for real people. And as a result, we uncover insights and opportunities for truly creative solutions. How does this professional development opportunity reflect Maclay's learning principles (use of essential questions, backward design, authentic assessment, higher order questioning, and differentiation)? · Creativity and the ability to innovate are like muscles – the more we use them, the stronger they get. Creative confidence gives us the courage to make a difference in the world around us and inspires us to combine breakthrough ideas with action in a way that improves our companies, our careers, and our lives. What outcome do you expect to attain? 1 - To inspire all around us to have more eMpathy and to open up their creative thoughts. We want people we come in contact with to not only think outside the box but as if there was no box at all. 2 - Using the #850createswithmaclay on our campus, community & social media – Maclay Fine Arts will not be hidden! We will use 352Creates as a prototype for our #850MaclayCreates. We plan to incorporate this into the Celebration Of The Arts, 2019. It can be a yearlong process that just grows as the lead by example. Once the PD is approved we will dissect this idea to make it fit the Maclay Culture and run with it next year in our lesson themes. 352Creates promotes the idea that creativity is good for our health and well-being as individuals and community. This shared sense of community through creativity is what makes 352Creates unique! 352Creates is a network of individuals, organizations, and businesses united by the idea that creativity connects our community and makes us healthier and stronger. 3 - We are applying for another Faculty Excellence Grant: eM round 2: With this research in this book we feel the 2 will mesh. *Fingers crossed on being awarded another grant. 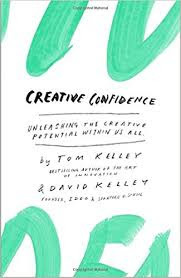 4 – Incorporate this book in helping us plan The Celebration Of The Arts, 2019 We want to have #850createswithmaclay as a part of COTA19. We are in the works for getting Mal Jones booked for the event. I will attach his information to the back of this packet. We will hold 2 Make and Take Sessions for our faculty and staff. #1 will be first semester and #2 will be second semester. Something fun and relevant. These activities will be determined at a later date once we have time to brainstorm. We will document with photos and feedback. Then put in a notebook or have a Shutterfly book made that could be on a coffee table in front office or part of the Milford Gallery. We will continue to tie our lessons to eMpathy as a theme. Students, faculty, staff and parents. the works to bring him to campus next year. *We will connect weekly to share and update with one another. Yep, perfect song for this post. We haven't even had summer and are already planning for next school year! I have to say...I love my Visual Arts Team! Always looking to grow our program professionally and personally.